BEST SELLING FIT, RESTOCKED! 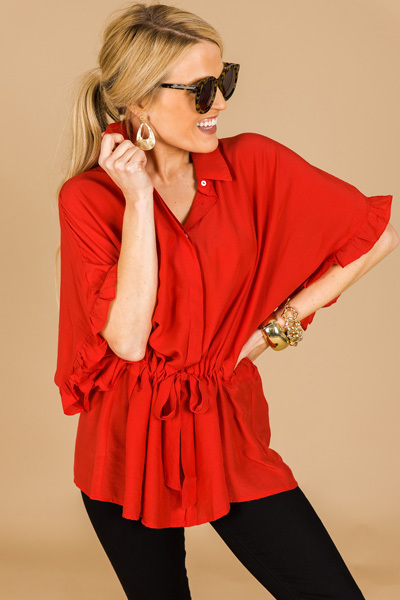 This top puts a little spin on your typical button down! 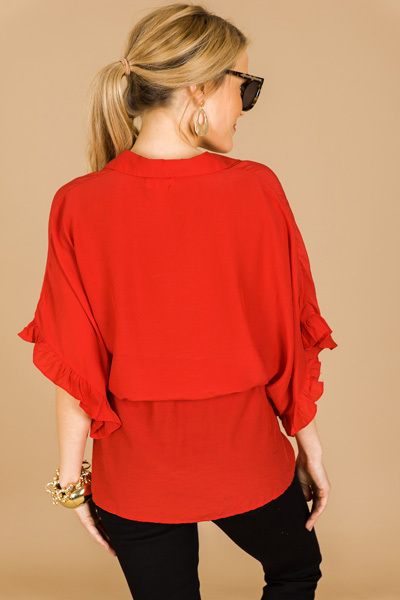 Tie waist feature for a customized, flattering fit, and those ruffled sleeves for a bit of femininity. Fabric is an airy rayon blend. Fit is roomy. Model is wearing a small.